The Vapeants E8 Pod System is a sensational compact vape pod kit, integrating a slim 350mAh rechargeable battery, two pod resistance options, and draw-activated firing mechanism for the ultimate travel-friendly device. Constructed from durable zinc-alloy, the E8 is lightweight and fits neatly in the palm of the hand. 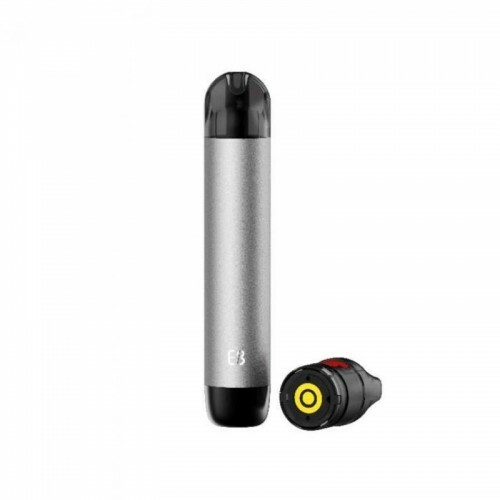 With a sizeable 350mAh rechargeable battery, the E8 can vaporize the 1.2mL Capacity pods that are offered in 1.5ohm and 1.8ohm, denoted by the coloring of the stopper located at the side of the pod. Both options have gold-plated connections that allow the pods to be changed on-the-go while ensuring a solid and conductive connection between the two. Furthermore, the Vapeants E8 Pod System can be charged via MicroUSB port with a LED battery life indicator light.